Now Who Will Replace Faulconer on City Council for District 2 for Rest of 2014? Who will now replace Faulconer on the Council? The tentative date for Faulconer’s inauguration is March 8th. The full Council – minus Faulconer but with David Alvarez – then has 30 business days in which to appoint an interim replacement for the District 2 seat to complete Faulconer’s term, which ends in December 2014. The Council will then be 5 to 3 Democrats to Republicans when the appointment is made. And don’t forget, there’s an election to actually democratically fill the District 2 seat this year; the Primary is in June and the General Election is in November. So, the City Council will appoint someone. Who will it be? Often the Council appoints someone in a case like this who pledges to not seek the seat in the next election. That would leave out both Sara Boot (D) and Lorie Zapf (R) as they are the two party contenders right now for the office. If a Democrat replaced Faulconer, the council would be made up of six Democrats and three Republicans, instead of the current 5-4 Democrat-Republican split. Because it takes six council votes to override a mayoral veto, Mayor Faulconer could then find his vetoes being overruled by the councilmember who replaced him. So, who is likely to be appointed by the Council? Would they look to past elections and bring in former candidates for the office, like Michael Zucchet or Wayne Raffesberger? Zucchet – who represented District 2 – has a job and it’s the head of the Municipal Employees Association. Wayne is too partisan a Republican for the Dem majority to consider him. What about Byron Wear? He’s a Republican and former District rep.
Then there’s the possibility of a downtown lawyer or someone with downtown interests. More on this below. How about current and past leaders from the Peninsula, like Dave Martin, former prez of the OB Town Council and owner of Shades, a successful local business? How about Gretchen Newsom, current leader of the Town Council? Or Rich Grosch, Community College trustee and long-time activist at the beach. Or Denny Knox, long-time manager of the OB Mainstreet Association? Can the Council look outside the District 2 boundaries to find someone? If so, how about Donna Frye? Whomever the council appoints has to live in the same district of Faulconer, but not the current district—the old district boundaries from 2010, before redistricting in 2011, as both Alvarez and Faulconer were elected in 2010. 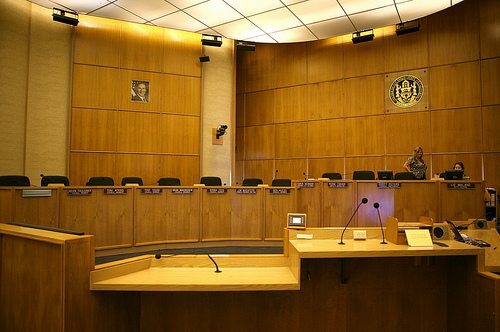 San Diego’s City Charter says that because both Alvarez and Faulconer have less than one year left on their council terms, the City Council will appoint someone to fill their seat instead of holding another election. Those interested in the seat will fill out an application, submit a Statement of Economic Interest and write up to 500 words on why they’re qualified for the job. The council must then hold a public hearing with the applicants and give each three minutes to speak. The City Council will then vote on the new councilmember. All of this must happen within 30 days after the council seat is vacated. Who do you think it will be? Who do you think it should be? Would sure like to see Sarah Boot fill the position. Judi, I think it’s unlikely that the Council would do that, as it would appear that it was stepping in and trying to influence the upcoming primary in a major way. I have been asked if I would consider pursuing the appointment, and I am giving it some serious thought. Whomever is appointed needs to ensure that our interests are well-represented and that there is a smooth transition once the new D2 councilmember is elected. Don”t leave OB behind! Por favor! Gretchen Newsom all the way. She truly cares about OB, more than Faulconer ever did. Sour grapes and a lot of whine. OB still has not figured out Point Loma is part of the District. Mr Wear and his Council experience would be the best for the District. Seems to me it’s the other way around. Point Loma forgets OB is part of the District. How about somebody with the right core values. What about you, Frank? I’d support you. I’m sorry, the inauguration is March 3rd, not the 8th. There’s a new article on the Point Loma Democratic Club’s website, (Part II) District 2 Seat to be Filled by City Council Appointment http://wp.me/p2hXlG-1Da. Should we open a pool, er, I mean a poll? Or wait a few days to learn of other possible contenders? To all candidates for Council District 2, please analyze our no-cost solutions to ending Homelessness using the $908 million in former Redevelopment Agency assets that are being siphoned off to the direct benefit of the City’s and County’s General Funds instead of the San Diego Regional Continuum of Care Council (RCCC) to end homeless and Poverty amongst Children and Seniors. Hopefully the District 2 Appointee will look into this important financial and social justice matter for the Beach, Midway, San Diego River, Mission Bay Homeless San Diegans. Former City Council Member Carl DeMaio always stated he never waited until being elected to solve San Diego political and financial problems that only required Leadership and independent analysis. The City AND County of San Diego are in violation of the Federal Fair Housing and HEARTH Act based upon their failure to identify funding to end Veterans and Chronic Homeless by 2015, and ALL Homeless including Children by 2020. The only current goal is to End Homelessness in downtown-only by 2016, and closing both tents until December 2014 if money is found. The San Diego Regional Continuum of Care and all Non-Profit and Faith Based Community members are being suckered by Civic San Diego, and City of San Diego staff and officials. So far purposeful sabotage includes the $13 million Housing Due Diligence Report (DDR) Payment, the $167 Non-Housing Other Assets DDR Payment, the “erasing” and “writing off” of $231.1 Million in Successor Agency (SA) debt to a Net Zero Value in the FY-2013 CAFR, and pretending that Civic San Diego is broke. Instead of being liquidated for the benefit of the City AND County General Funds, the full $908 million in Successor Agency (SA) assets needs to be independently audited. See Pages 20 to 22 for the September 10, 2010 Joint Memorandum from then-City Council Members Carl DeMaio and Donna Frye asking Mayor Sanders and the City Council to direct the City Auditor Edwardo Luna to investigate the annual $18 million in Tax Sharing Payments from the Successor Agency (SA) to the County of San Diego in accordance with the 1992 Agreement for Cooperation that was never enforced. How about Jane Gawronski for District 2 temporary replacement? Look at her qualifications: former OBPB Chair, current Ocean Beach Historical Society Board Member, former PL Democratic Club President, School Superintendent and her accomplishments go on and on! Re-read the OB Rag article about her and Tom. Who could be better?